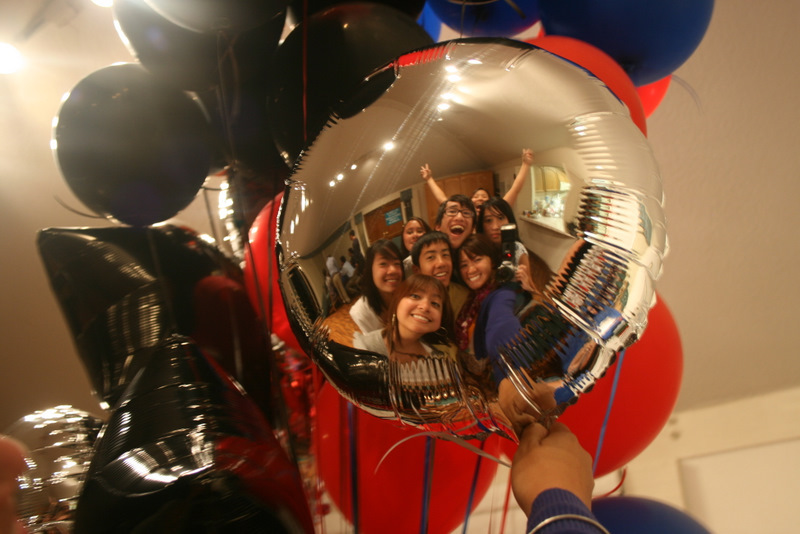 A self (group)-portrait of sorts, our excitement clearly showed in the reflection on the balloon we had. This was a fun picture and after many takes, we got a variety of different poses and angles. Surrounded by all the other colored, solid balloons, this mylar balloon certainly stood out. Good times!